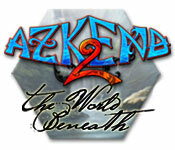 Azkend 2: The World Beneath is rated 3.7 out of 5 by 33. Rated 5 out of 5 by TAIYO1937 from Almost didn't get it After reading some of the reviews saying this game was very difficult, I almost didn't buy it. But I was able to get through Azkend 1, so I figured I should at least give it a try. 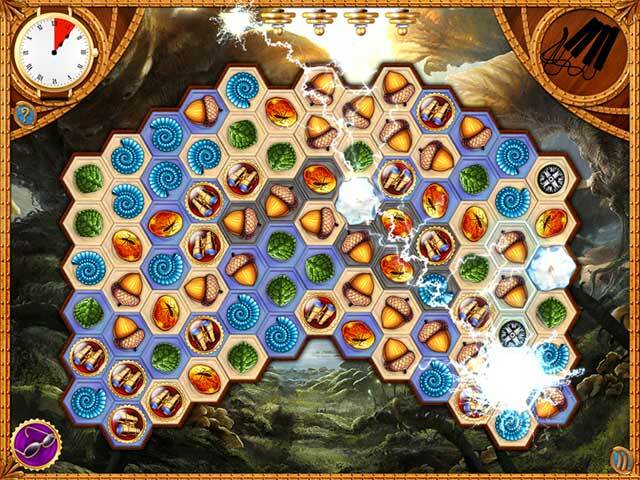 It's a whole lot of fun and the graphics are fabulous, although the music is a bit repetitive so I turned it off. Story line was kind of corny, but that's what fantasy is all about. All in all, I thoroughly enjoyed Azkend2 and will keep it in my "library" to play again later. I estimate it took me about five hours to complete but it was well worth it. Rated 5 out of 5 by betskand62 from Pretty and HARD! The first parts of this one are deceptively doable. The last 5 are really hard. The "Survival" version is a test of speed and seeing...I have only gotten up to 50%. The artwork is pretty. Rated 5 out of 5 by fredandethel from Quite challenging but really original The things I like, which I don't think any other review mentions, are that the tiles tumble across the board diagonally as well as dropping vertically when you make a match, and the levels where you have to make matches next to crawling bugs to zap them before they reach the top of the board. I've not seen anything like this in any other game. Rated 5 out of 5 by lilricebowl from Wow! I'm super impressed by this game! I'm a big fan of the Jewel Quest games and this one is almost right up there with them. Challenging, fantastic graphics and adult-level game play. I didn't have to play the full one hour free game to know I wanted the full version. Highly recommend! Rated 5 out of 5 by ahgoodun from Azkend 2.great game harder than#1but well worth playing.maybe have to be a little faster than the first.but well worth buying.everything in one game. Explosive game.blow your mind. Rated 5 out of 5 by SRitchie from ONE OF THE HARDEST MATCH 3 GAMES I'VE EVER PLAYED This game is fun. Has an interesting storyline and is not your ordinary match 3 game. It's a lot harder than I expected -- I've had to replay a few levels in order to progress. Very addicting. Rated 5 out of 5 by jankles from Great Game But Wow what a good game that would be, but of course there is the timer. Why don't the gamers make it with both choices. Some of us would just like to play for pleasure while others like to beat the clock. I sure would have bought this game but will let it pass since theres the ever recurring timer. Everyone loses on this one except those who like to beat the clock. A no buy for me. 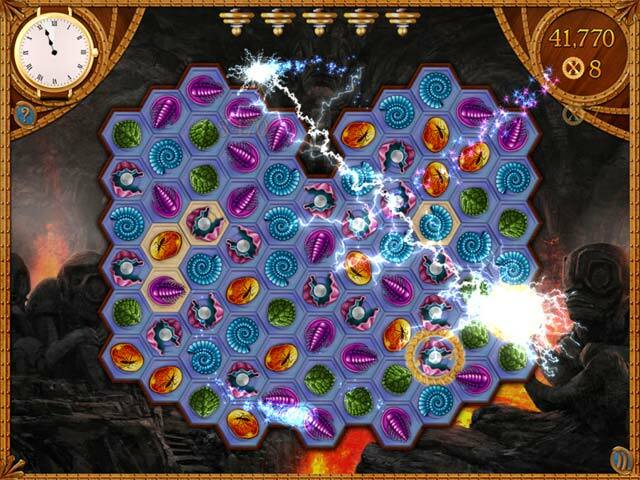 Rated 5 out of 5 by lemur998 from Fantastic game! After only 15 minutes of playing, I knew this game was a keeper. I don't normally like the chain style of match 3 games (I usually prefer the swap style), but this game was so much fun that the style didn't matter. There are tons of ways to keep you from getting stuck with a board that has few moves. There are special pieces on the board, tesla coils that can be charged up to zap pieces, and every time you make a chain that is at least 6 pieces long, you get extra zaps. The zapping seems to target the areas you need rather than being random. The story line is interesting and the art is beautiful. The music and sound effects are great too. Even if you don't like chain style matching, I highly recommend giving this game a try. It's one of the best games to be released lately! Rated 5 out of 5 by Sejanus from Where to start about this great game This is a really great game. Where to start. 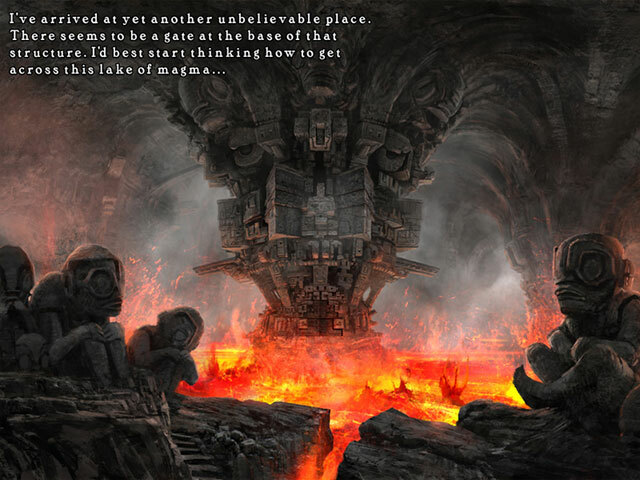 . . the graphics are gorgeous and the music blends with and heightens the experience. The match 3 games grow progressively harder and I had to restart earlier than usual in the game play. This is a must buy on all fronts. The seek sections at the completion of the match 3 can be tough because the art work is so beautiful and you really have to focus on the details. I rated the story line good because I don't quite know where it is going. I will probably want to upgrade to excellent when I progress further.